Samsung was told by Australia’s Federal Court on Thursday that it will not be allowed to sell its Galaxy 10.1 tablet in the Australian market – at least for the time being. The decision comes following an accusation by Apple that Samsung’s tablet infringed several of its patents and “slavishly” copied various aspects of the iPad’s design. The two technology giants have been filing various patent lawsuits against one another in nine countries across four continents since April. Samsung had agreed to withdraw its Galaxy Tab 10.1 device from the Australian market at the start of August until the patent dispute was resolved. Following Bennett’s ruling on Thursday, it will remain off the shelves of Australian stores. The decision by Australia’s Federal Court is a temporary injunction, with no date yet fixed for the subsequent full hearing, although it is unlikely to happen this year. This means Samsung’s tablet will miss out on the lucrative Christmas market. If Samsung fail to get the injunction overturned at some point in the future, the only way it’ll be able to get its Galaxy 10.1 tablet on the Australian market will be to modify its design. Thursday’s decision follows a ruling by a German court last month that said Samsung’s Galaxy 10.1 tablet “too closely” resembled Apple’s iPad. 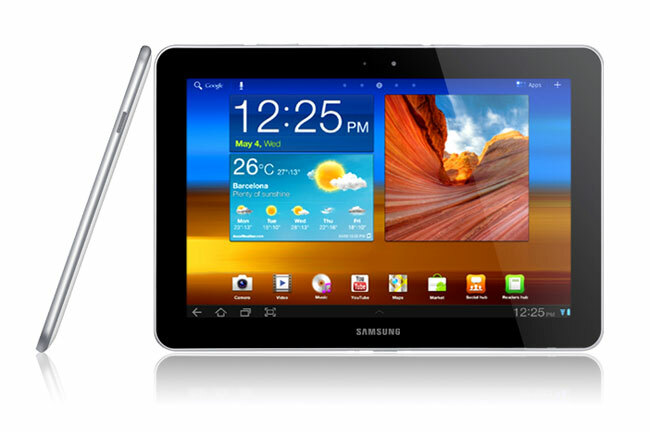 As a result, the court granted a permanent injunction on the sale of Samsung’s tablet in Germany. Anyone who’d like to get the back story to Apple and Samsung’s patent-related legal entanglements should take a look at Geoff Duncan’s excellent overview of this fascinating and seemingly never-ending battle.